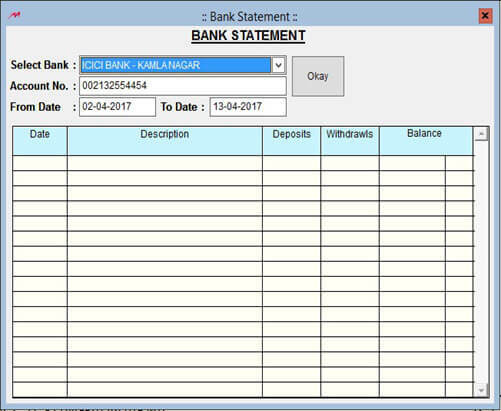 You Can check your bank account statement by using the Bank statement option. 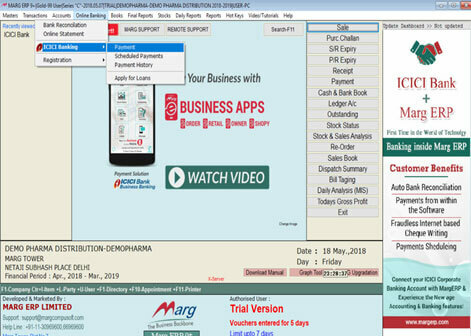 Step 2: A Bank Statement window will appear on your screen. 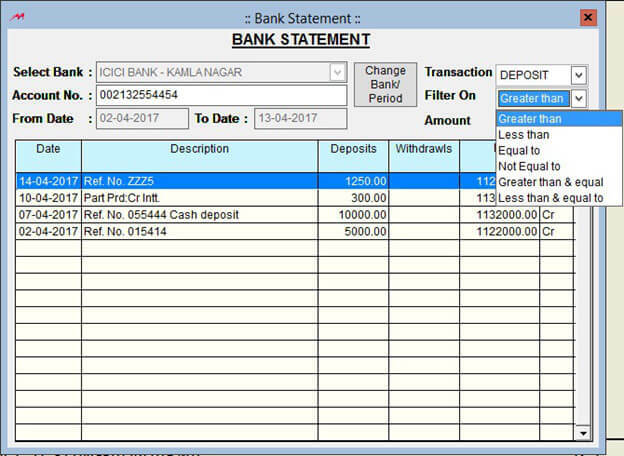 Select Bank for which you want to check the statement from the dropdown shown in the image above. Step 3: Enter the duration for which you want to get the statement and click ‘Okay’. You will get the statement as shown in the image above. You can ‘Filter’ the statement on the basis of amount by clicking on the ‘Filter On’ dropdown option. 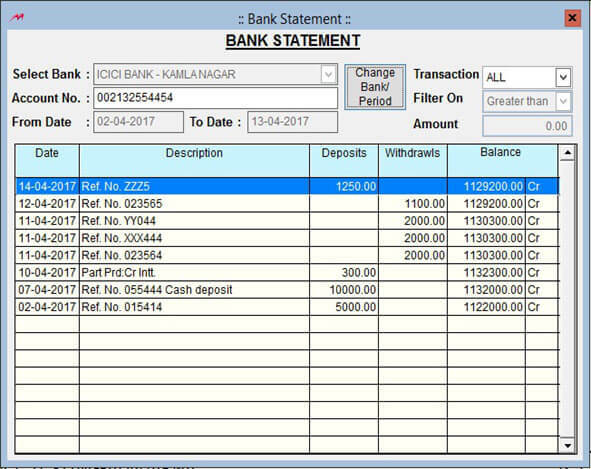 You can also search for transaction in statement on the basis of ‘Reference Number’ which you have received while making the payment or the ‘Cheque Number’ and it will appear on the screen. You can get the information of your current account balance by clicking on ‘Get Balance’.